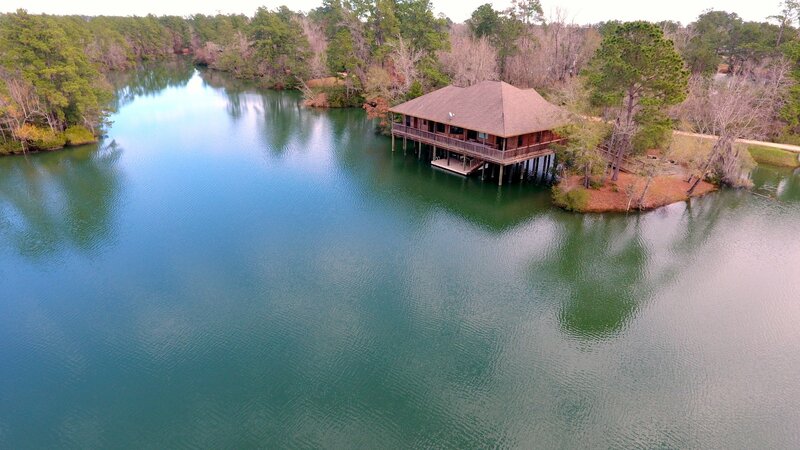 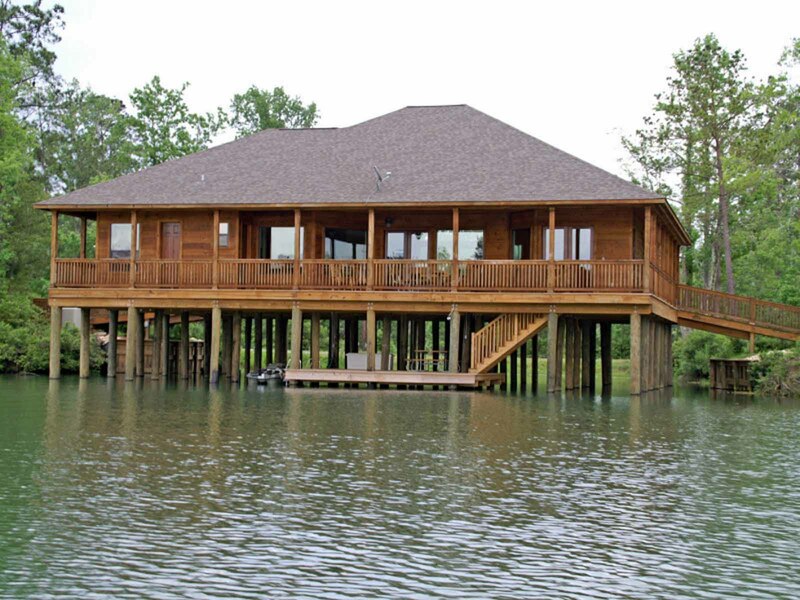 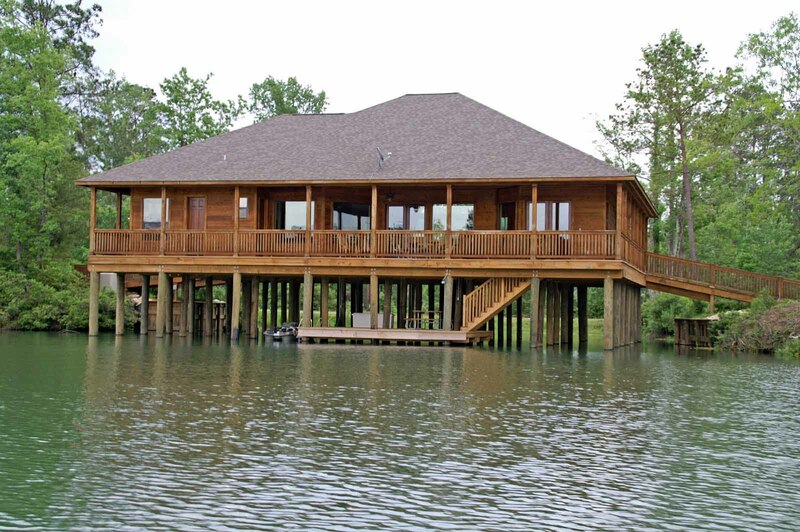 A truly unique residence within the Artesian Lakes community situated completely over the water with a breathtaking panoramic view of Smith Lake and its islands – an opportunity to experience nature in the comfort of home. 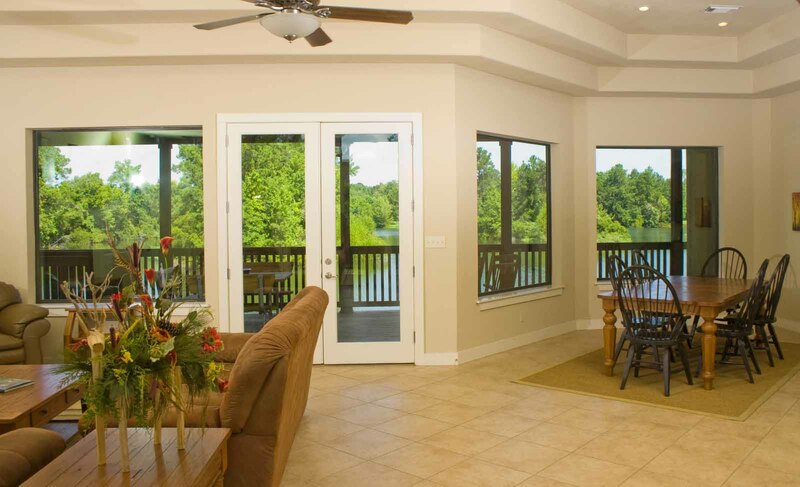 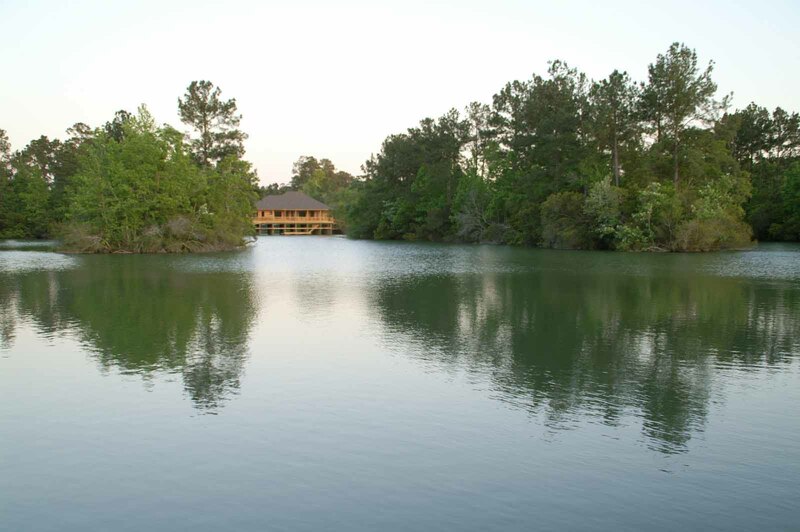 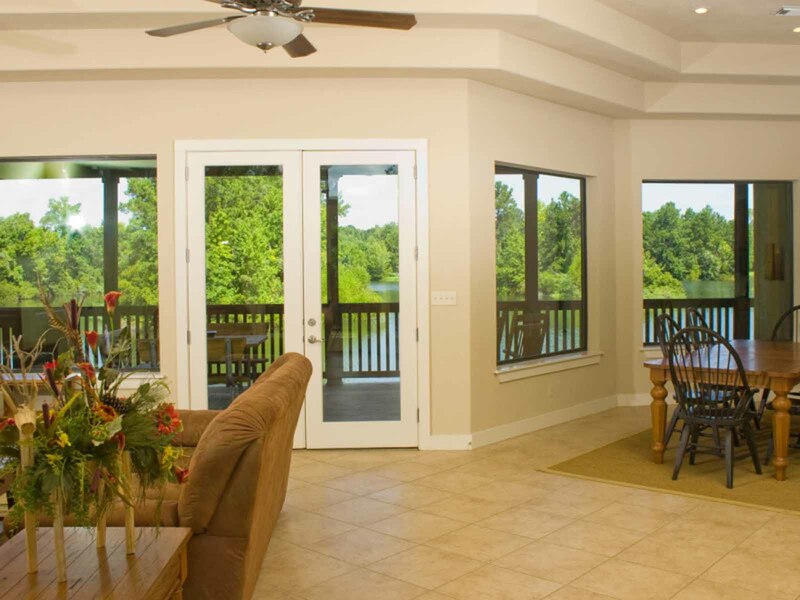 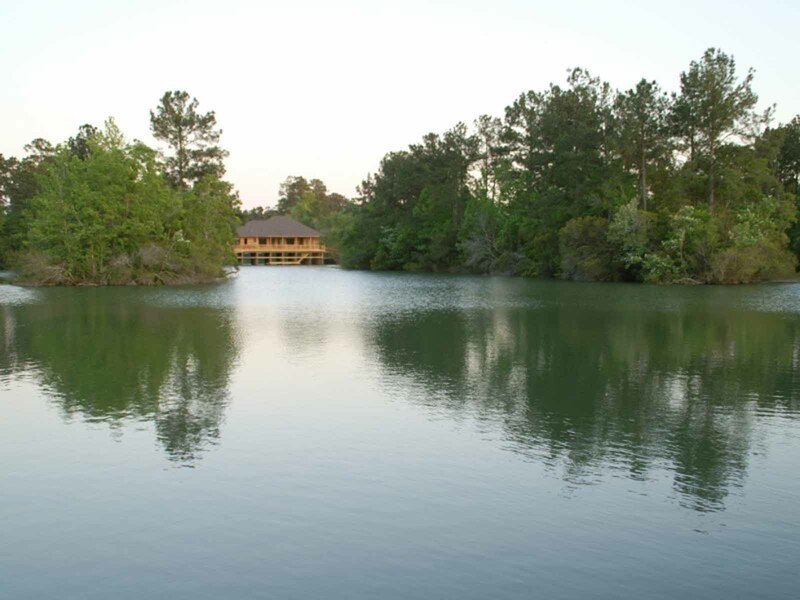 The Lake House features an open central social and dining area adjoining a full kitchen, all with a spectacular view of the lake and wooded surroundings. 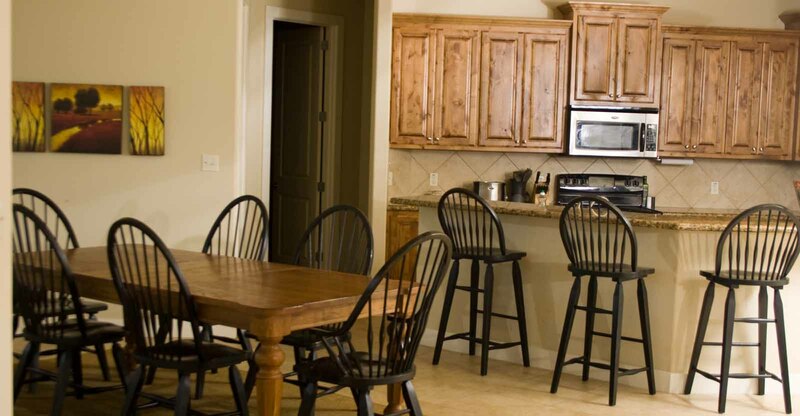 Equipped with modern appliances, pantry room, and utility room with washer and dryer, extended stays are readily accommodated. 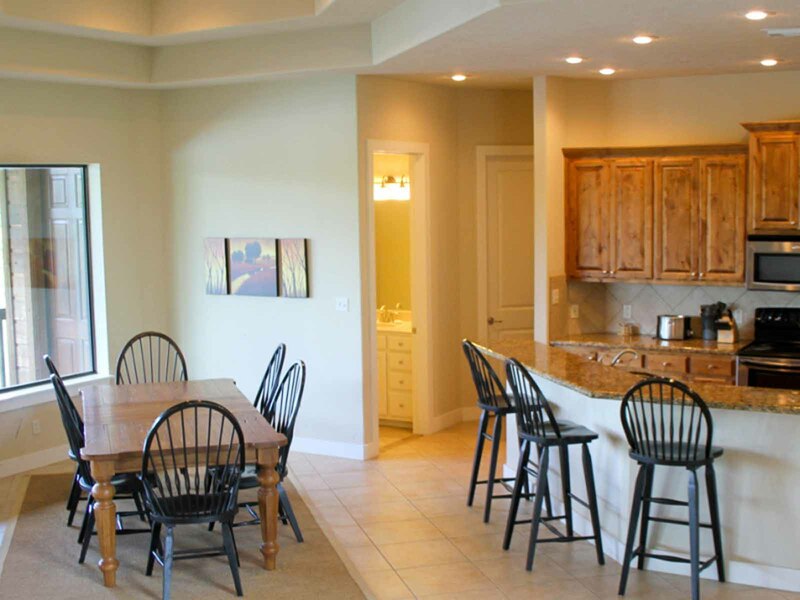 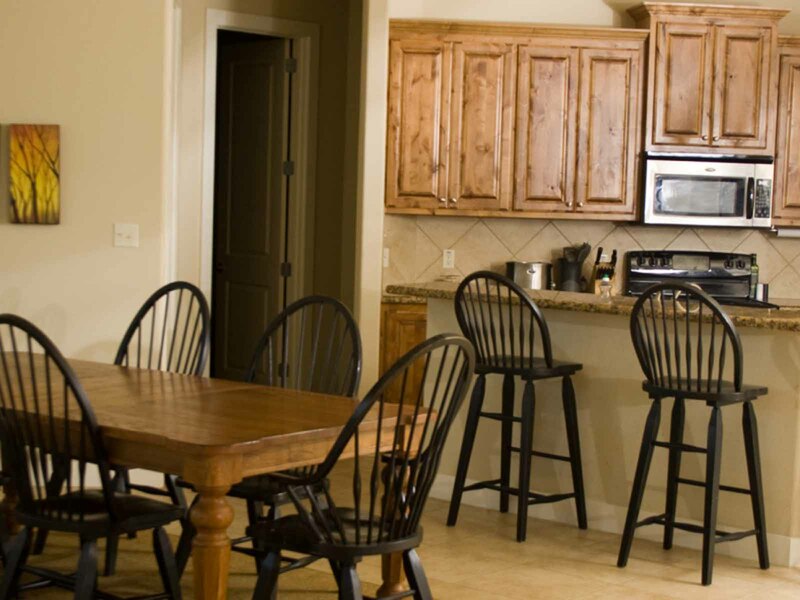 Each of three bedroom suites has its own bath and private access to the wraparound porch. 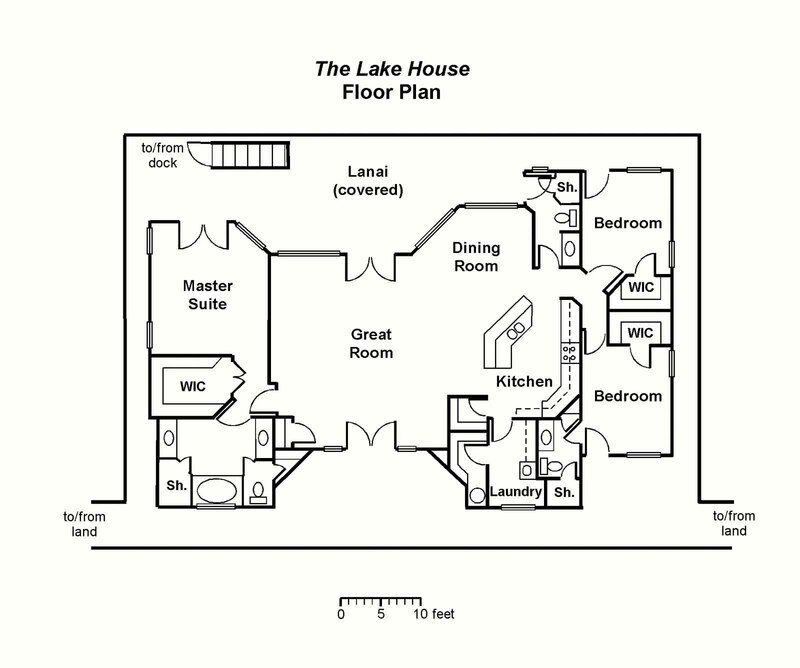 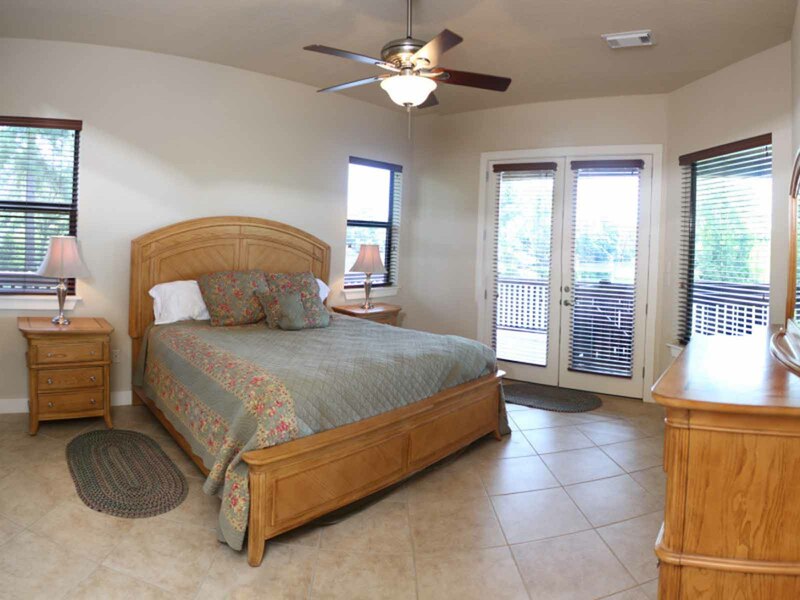 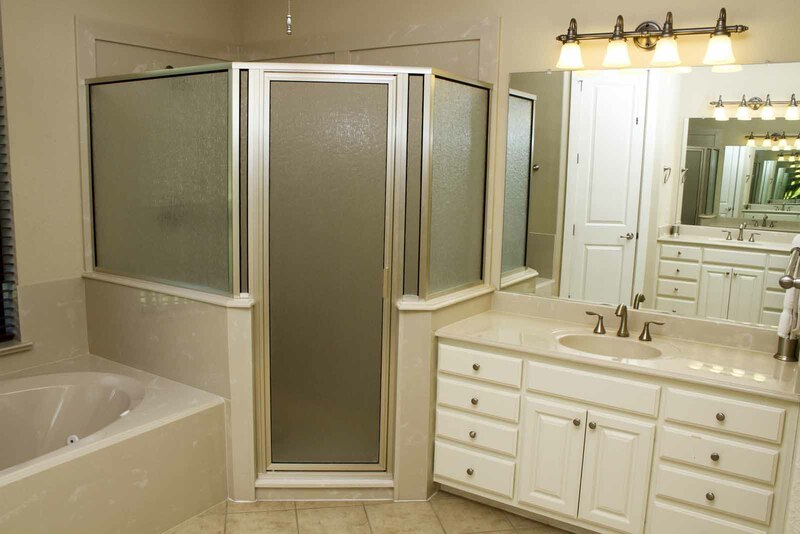 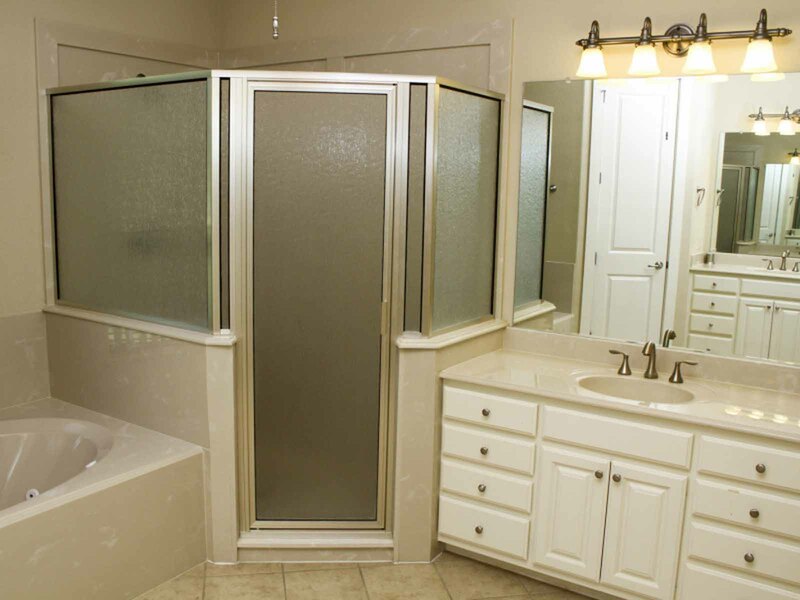 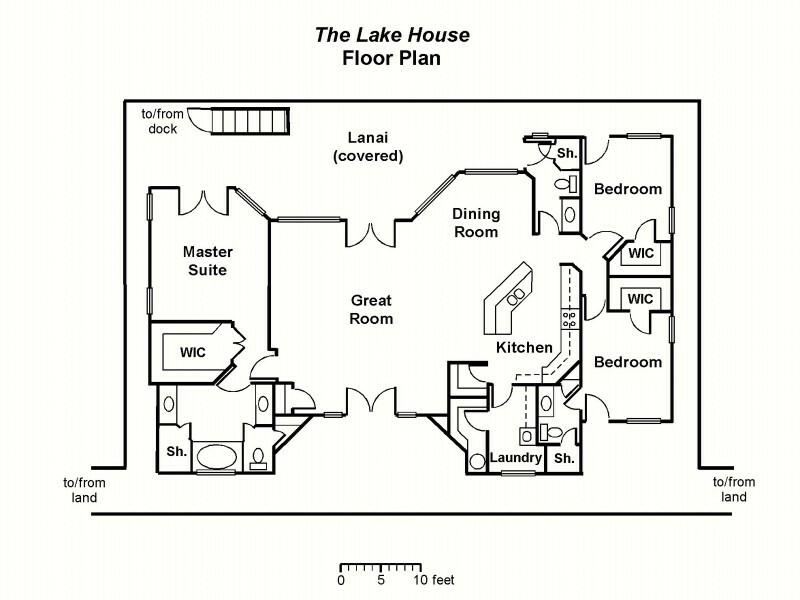 The master suite features a lake view, king size bed, walk-in closet, and a large bath with walk-in shower, whirlpool tub, and his and hers vanities. 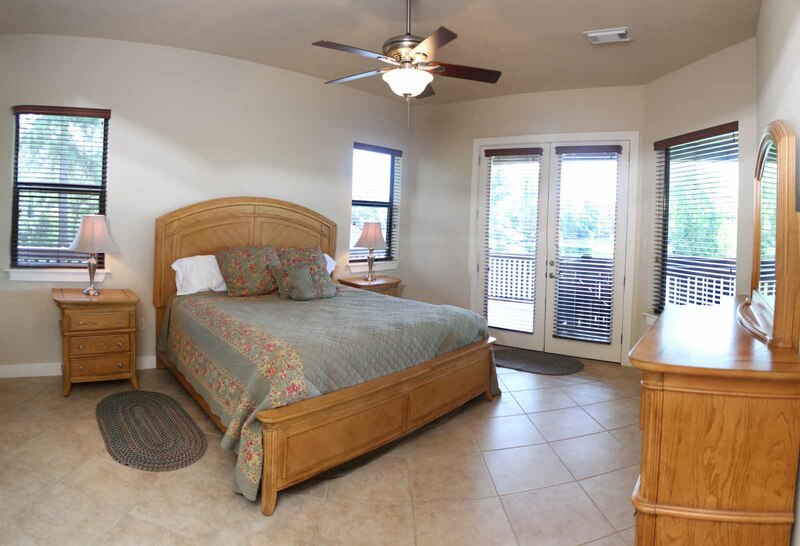 Each of the two guest suites offers a queen size bed, walk-in closet, large vanity, and walk-in shower. 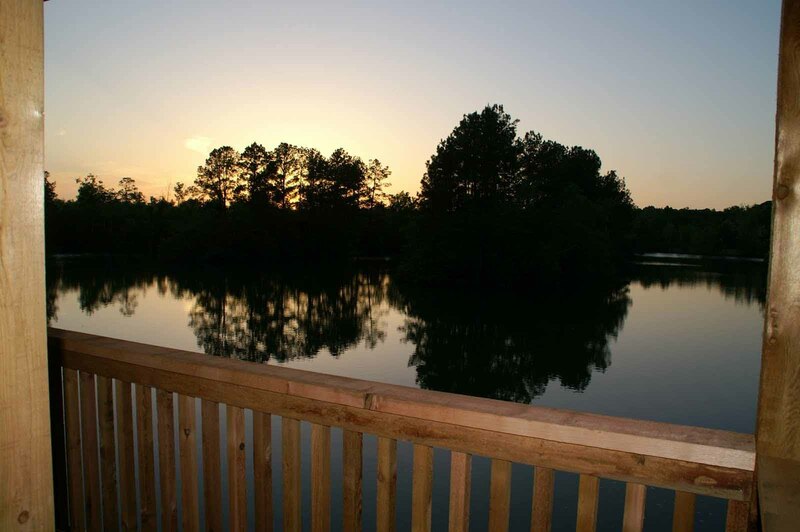 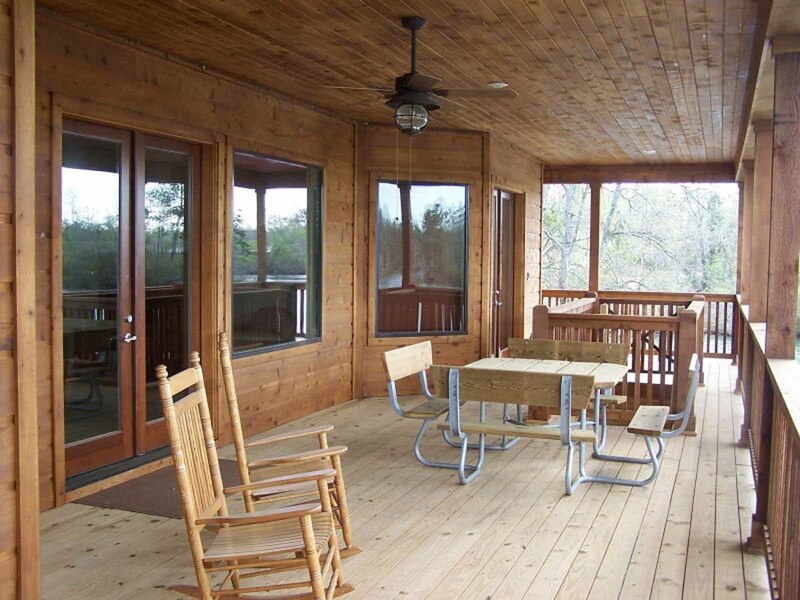 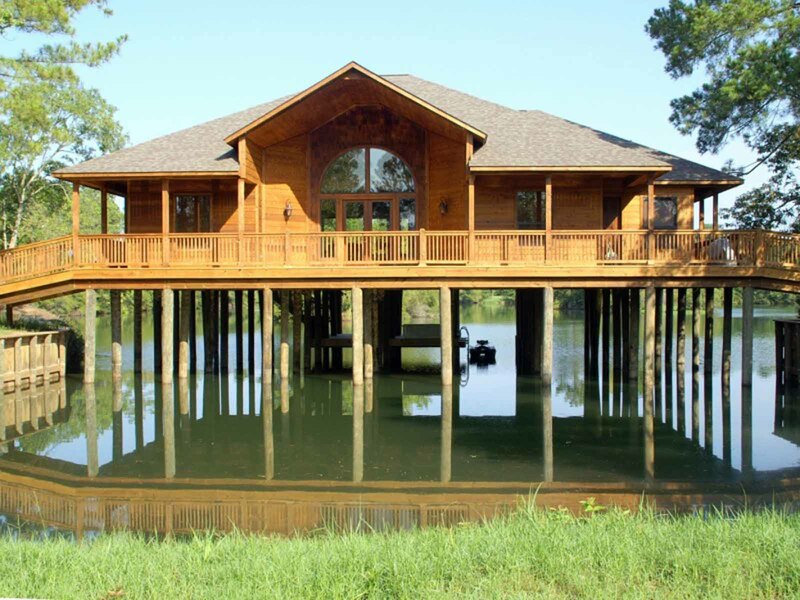 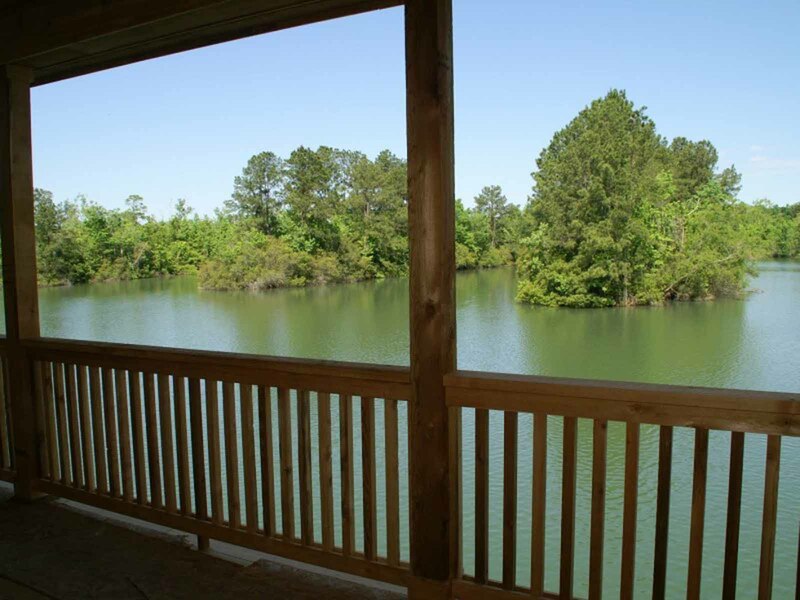 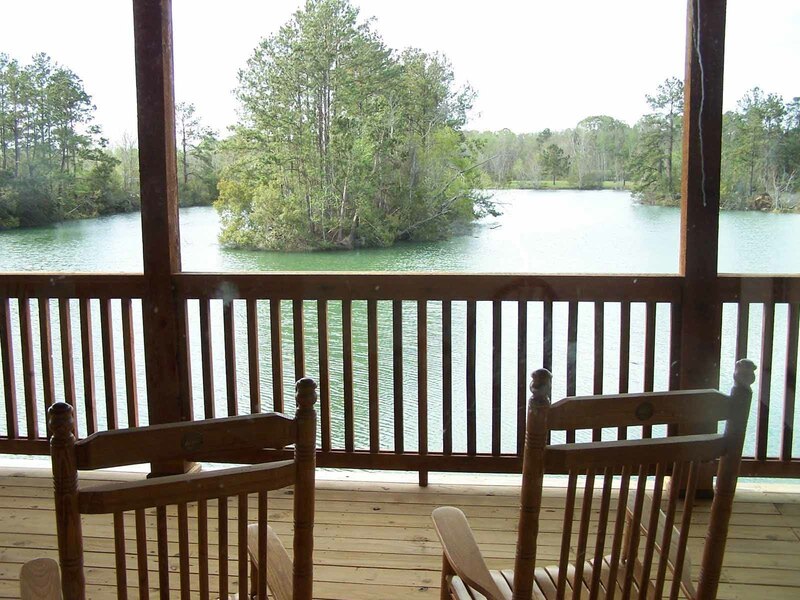 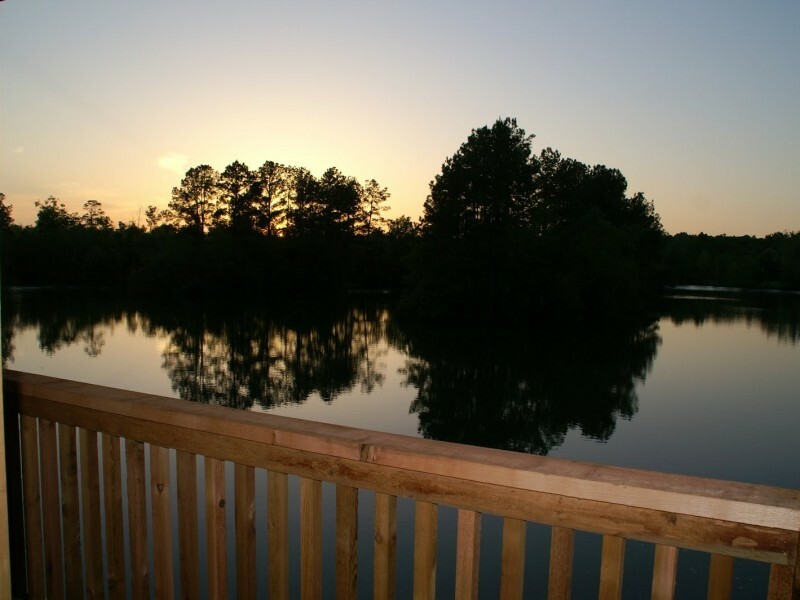 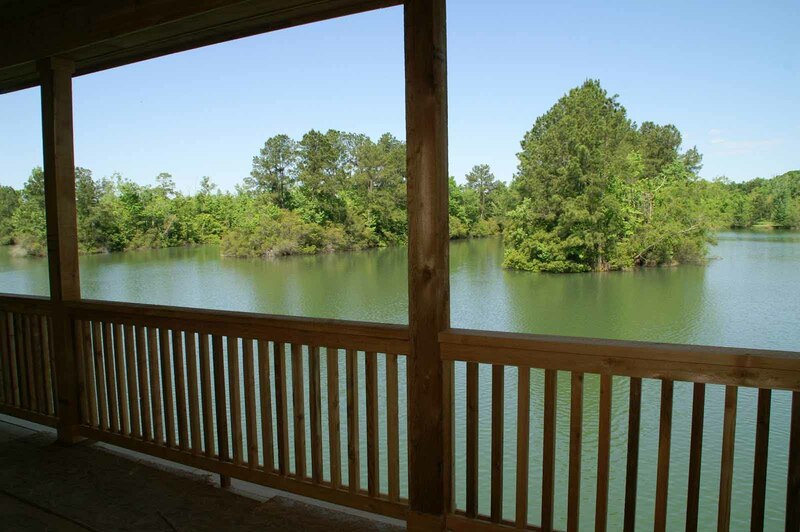 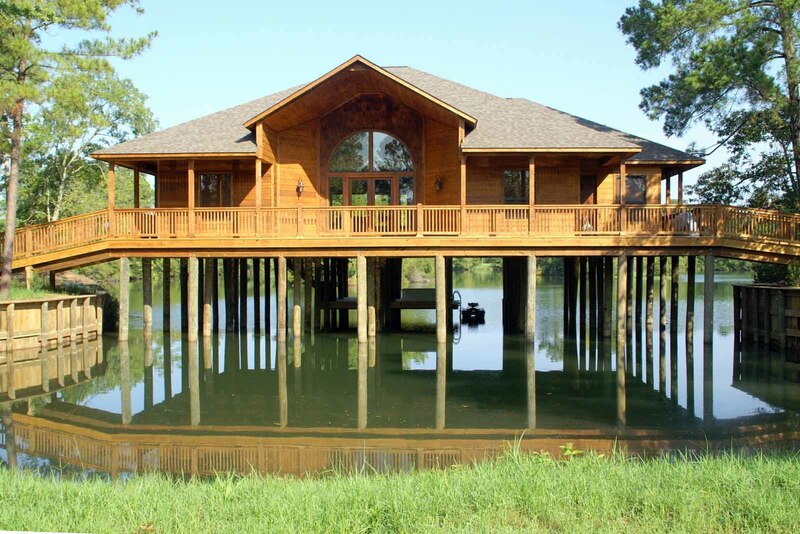 Situated high above the lake, the deck area invites nature observation, entertainment, or peaceful relaxation. 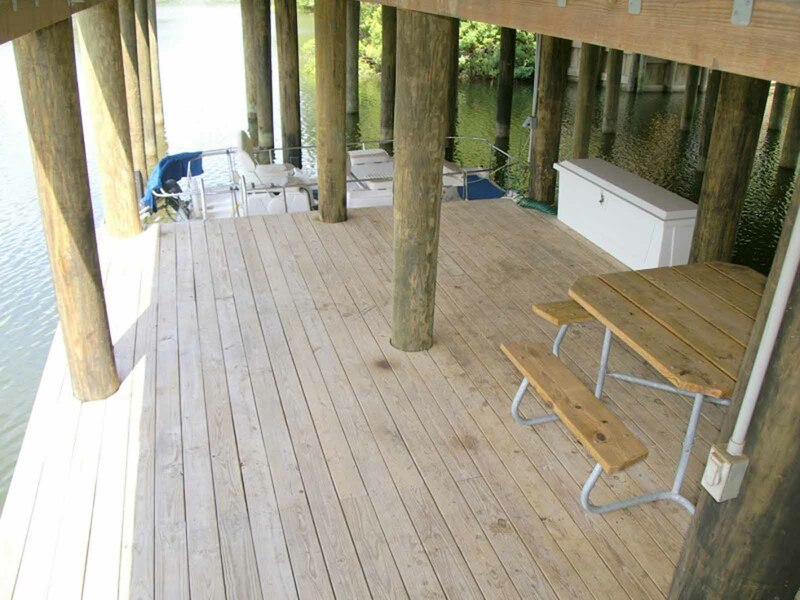 Descending the stairway from the lanai, one discovers a boat deck below. 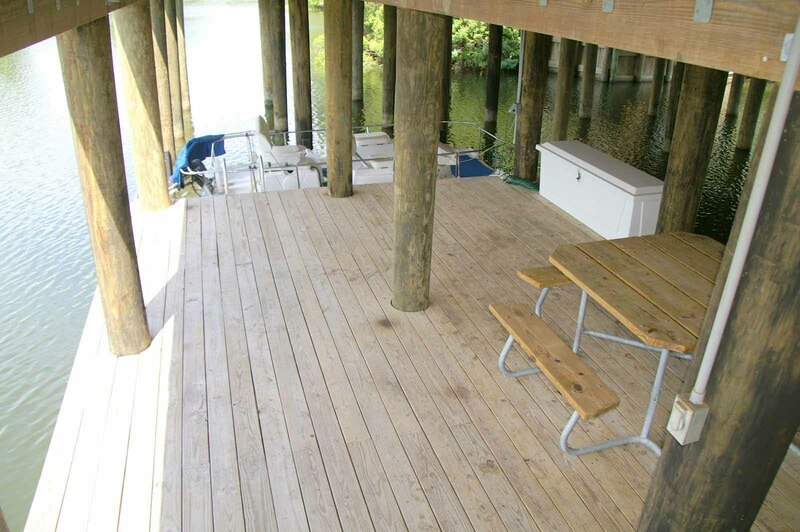 At day’s end, adjourn to the peninsula and grill a main course for the outdoor dinner table. 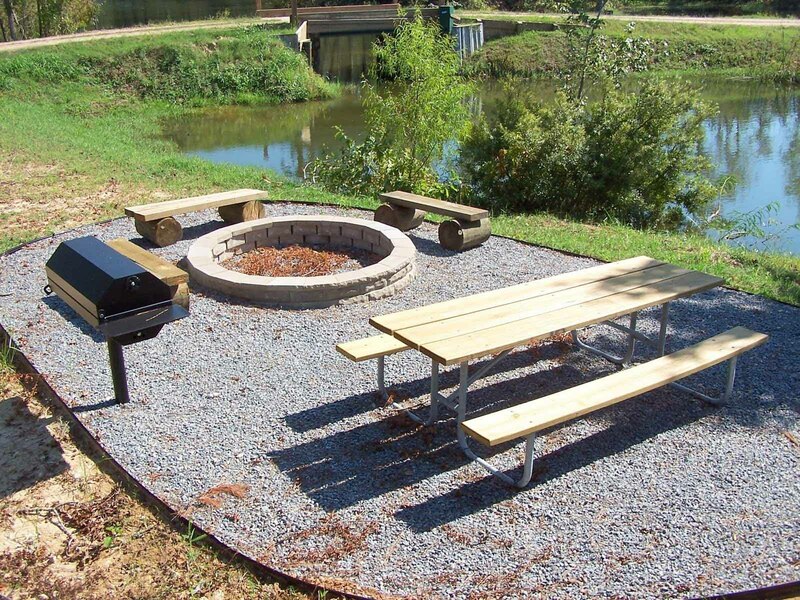 Finish the evening sitting around your private campfire.